Pinch, punch, first, err, third of the month. Whatever, it’s March. And that can only mean one thing – we are one of Highbury Corner Waitrose’s Community Matters organisations of the month, don’t you know?! We appreciate that not everybody shops in Waitrose and that Highbury Corner is not in Hackney but there is a saying about gift horses and their mouths which we feel applies here, and, to borrow a completely different supermarket’s catchphrase, every little helps. Through Community Matters we will get a cut of £500 which will mean a more secure future for Free Cakes for Kids Hackney and a heck of a lot more birthday cakes for local children who might otherwise go without. 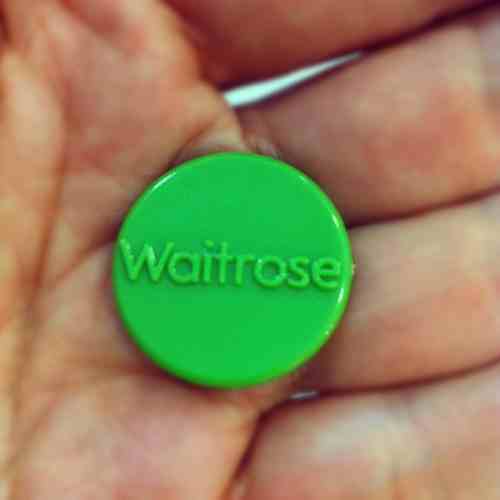 If you’ve previously had a little green token thrust in your hand with your change at the till in a Waitrose then you might know a bit about how it all works. Basically, we are up against two other organisations/charities. Shoppers deposit their token, which they are given when they check out, in the box on the way out of the store under the name of the one organisation out of the three that they like the sound of most. The more tokens we get, the bigger our share of the £500 fund for March. So, we’ll cut to the chase and get to the bit where we ask you for a favour: if you live or work near the little Waitrose at 28-32 Highbury Corner, or if you have family or friends who do, or if you just fancy a detour to buy your pint of milk, please consider shopping there and putting your token in our box. You have the whole of March to give us, give us, give us your tokens, pretty please with a cherry on the top. What are you waiting for? Get shopping!